Ōkārito’s shallow lagoon is held in place by a sandbar covered in dunes. The size of the outlet to the sea varies according to currents and sea conditions. 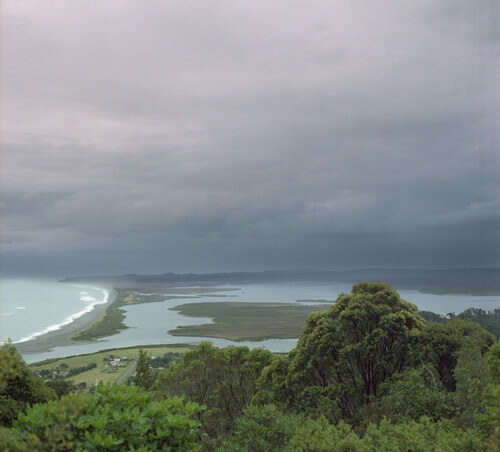 The settlement of Ōkārito is at the bottom of the picture, partly obscured by trees. During the gold-rush period, from the late 1860s to the 1880s, small ships that had travelled across the Tasman Sea from Australia moored in the lagoon, and unloaded people and supplies.